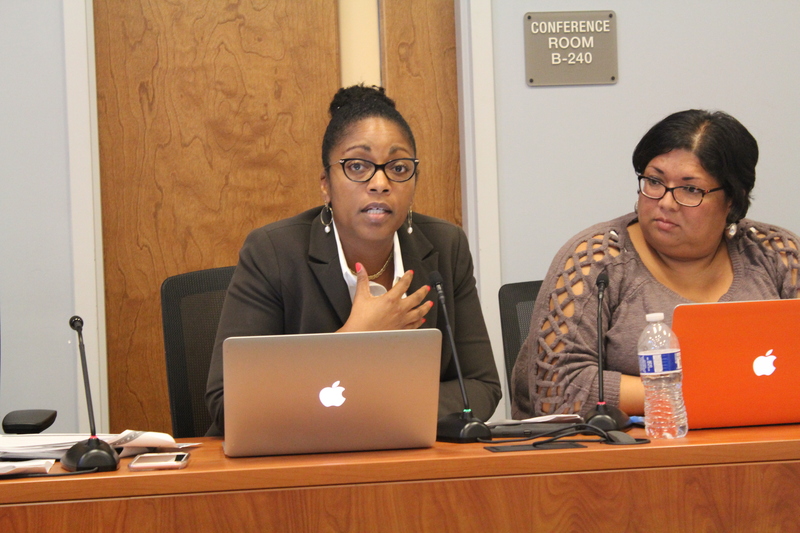 Oakland Unified school board members and Superintendent Kyla Johnson-Trammell (third from left), listen to budget presentation on Sept. 12, 2018. California could make available up to $52.1 million in total funding for the Oakland and Inglewood school districts over the next four years if they make fiscal changes as part of the education finance bill signed Monday by Gov. Brown. The deal, included in the education trailer bill AB 1840, was proposed by the state’s Department of Finance to help the two districts that are paying back state loans. To get the funds, the Oakland and Inglewood districts will be required to prepare detailed short-term and long-term financial plans and increase their budget reserves. They may also look at options such as selling surplus property to help pay off state loans and consolidating schools to cut costs. Oakland faces a deficit of up to $30 million for the 2019-20 school year. 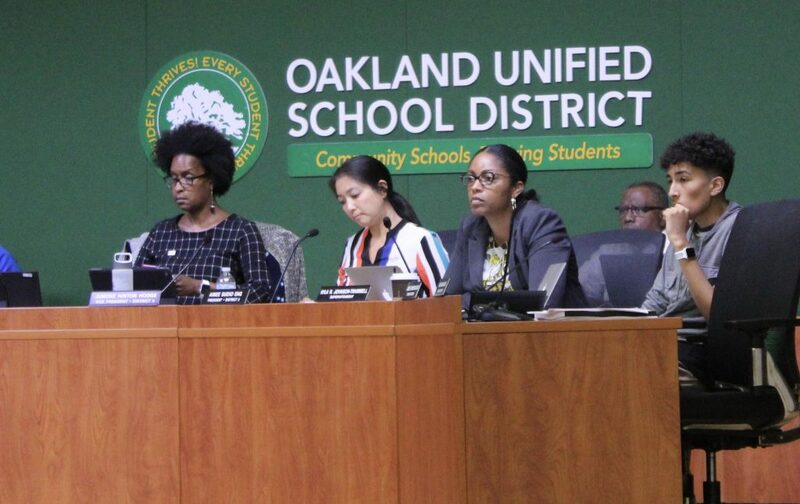 The Oakland school board has established a Special Committee on Fiscal Vitality to identify budget cuts by February to help close the projected deficit. Although the committee was initially considering a target of $30 million in budget reductions, some board members have said additional cuts would be necessary to pay for employee raises and new supports for teachers to enhance the district’s recruitment and retention efforts. The funding made available by this new law could reduce the amount of cuts that need to be made next year. “Oakland Unified estimates a fiscal shortfall of $30.3 million beginning in 2019-20 as a result of its mis-administration of funds,” according to the budget proposal drafted for the Legislature by the Department of Finance. The Department of Finance proposal anticipates that the state would provide about $20.4 million toward Oakland Unified’s deficit in 2019-20 as a result of the new legislation, while the district would be required to make about $6.8 million in cuts in 2019-20, followed by $11.4 million in 2020-21, $8.7 million in 2021-22 and $475,000 in 2022-23. 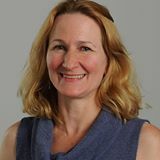 Kyla Johnson-Trammell, superintendent of Oakland Unified, said the governor’s signature on the bill is a “critical piece” of the district’s ability to balance its budget. In 2003, the district received a $100 million state bailout loan, which it is still paying off. It has a state trustee in place who is supposed to oversee the district’s spending and who has veto authority over its financial decisions. A fiscal report by the independent Fiscal Crisis Management and Assistance Team, or FCMAT, last year pointed to multiple reasons for Oakland’s budget travails, including high special education costs, loss of funds due to students attending charter schools and poor financial management by district leaders. The state aid, which the districts will not be required to repay, will cover 75 percent of the districts’ operating deficits in 2019-20, 50 percent in 2020-21 and 25 percent in 2021-22. 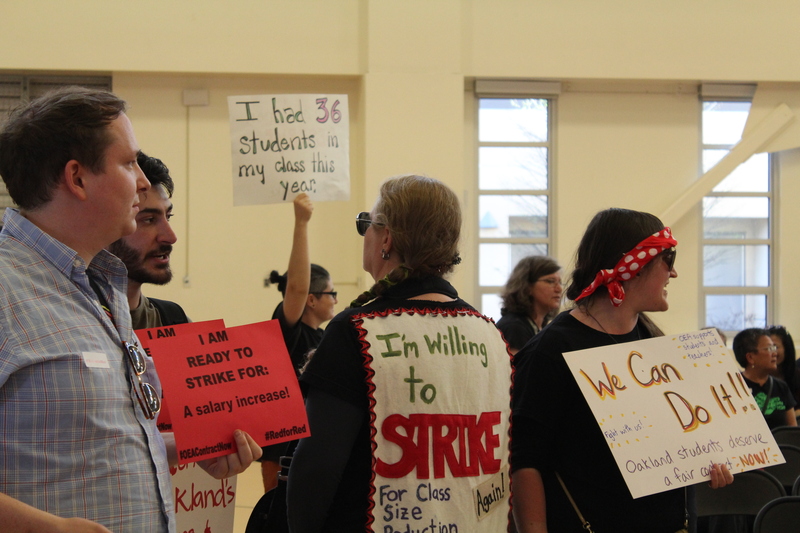 The state proposes to provide up to $34.7 million to Oakland Unified over the next four years, while expecting the district to make $27.4 million in cuts through 2022-23 toward eliminating its budget deficit. However, these numbers still need to be reviewed by FCMAT, based on the district’s most recent budget estimates, including unaudited actual revenues and expenditures for 2017-18. The Inglewood district is facing an estimated deficit of $2.3 million in 2018-19, which could grow to $12.9 million or more by 2020-21 due to declining enrollment, increased benefits and special education costs, “leadership instability and other extenuating factors,” according to the state proposal. The state anticipates providing $17.4 million to Inglewood over four years, with the district making about $14.2 million in spending reductions through 2022-23 to close its budget deficit. Both districts will need to make tough budget cuts to be able to meet the benchmarks required by the state, said Assemblyman Rob Bonta, D-Oakland, who helped negotiate the deal behind the scenes along with other local legislators. The bill includes provisions that apply to all districts in fiscal distress. It increases oversight by the counties and FCMAT and gives the districts in distress the ability to sell off property to make state loan payments. Under the new legislation, in the future, county offices of education will help to appoint administrators for districts that are paying back state loans. Until now, the state was solely responsible for appointing administrators. The county offices of education will be evaluated for their effectiveness in overseeing the districts’ return to fiscal solvency by FCMAT. That agency will also review the districts’ progress toward fiscal recovery. Trailer bills specify how the governor’s approved budget will be implemented. Besides outlining new procedures for districts in fiscal distress, the bill also contains numerous other provisions, including improvements to the Local Control and Accountability Plan which districts are required to file each year, new regulations regarding community college efforts to improve student success, and other regulations governing both K-12 and higher education. 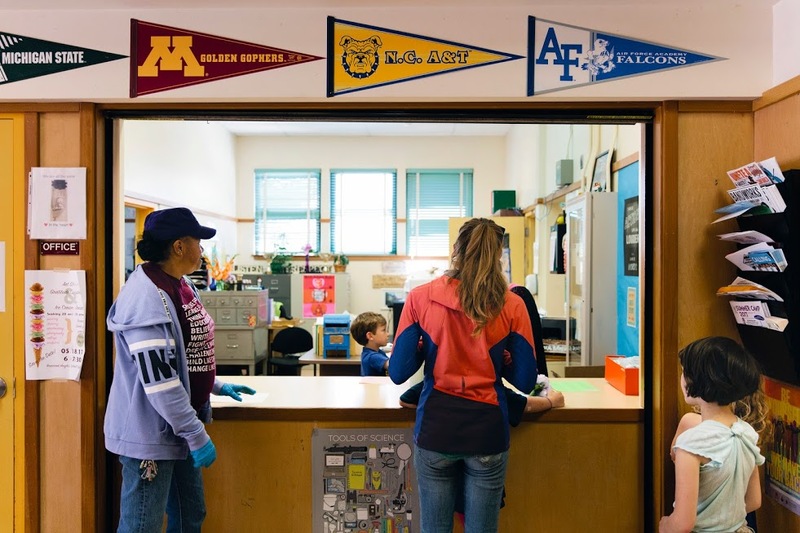 Is selling off the land making way to privatize and dissolve districts? Does not sound like good advice! No, it is intended to provide the districts with additional revenues to help pay off their state loans so they can become more fiscally solvent and maintain local control. If the money is “to help pay off their state loans,” then why is your headline talk about “millions for schools”? OUSD had a $29.3 million surplus in 2017-18 and has had a surplus 3 out of the last 4 years. Mike, As noted in the story, FCMAT will vet the numbers provided by the district. Also, at yesterday’s fiscal vitality committee meeting, CBO Marcus Battle said he plans to come up with a list of of cuts totaling up to $45 million for the committee to consider, which could allow for salary increases and increases in other targeted expenditures. Thanks for the informative story covering this important issue.